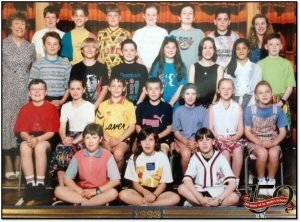 While another school year may be ending, the staff and pupils at St Bede’s Catholic Primary School in Rotherham are reflecting on a very special year which saw them celebrate their 150th anniversary while creating a new legacy for years to come. As part of their big birthday celebrations, the St Bede’s children have honoured their rich history throughout the 2017-18 academic year by entwining heritage-based topics into the curriculum and helping redevelop areas of the school for future generations. 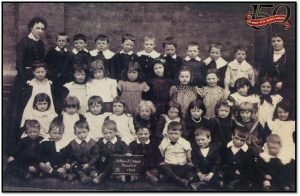 During Victorian Britain, before the 1880 Elementary Education Act made education compulsory for children under ten, St Bede’s Catholic Church in Masbrough voluntarily opened a school in 1868 to give working-class children the opportunity to learn, where it remained for 100 years. Fifty years ago, the school moved to a larger site on Wortley Road, Kimberworth and was opened by the Bishop of Leeds, Rev. Gerald Moverley in 1968. Today, the school is modern and forward-thinking with a keen focus on technology, yet it still retains the traditional pastoral values and principles at its heart. 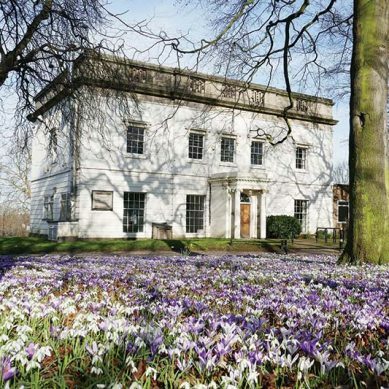 To mark 150 years of providing education in Rotherham, the children have been focusing on history-based topics to discover how life has changed since the 19th century. From fashion to transport, music to toys and games, pupils have been delving back through the decades, particularly in terms of healthcare, education and inventions. Outside of the classrooms, various projects have been launched around the school to commemorate 150 years. 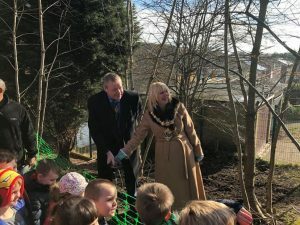 With a little help from the former mayor, Cllr Eve Rose Keenan, the foundation children planted 150 trees in the woodland area. Class three have turned an unused pond into a prayer garden, while class eight designed graffiti murals for the playground walls. From launching an allotment and a new tuck shop to creating a radio news programme, school anthem and a digital book, pupils have also renamed the school houses after local Kimberworth landmarks – Keppel, Grange, Manor and Thundercliffe. But one of the biggest and most influential parts of the 150th celebrations is the upcoming plans to overhaul the front area of the school with a shiny new sports arena and running track. 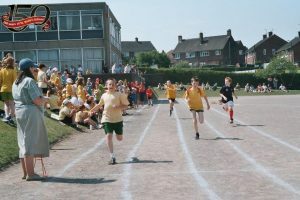 When St Bede’s moved to new premises in the 1960s, it became one of the only schools in the country at the time to have an all-weather games area – or dri-pla as it has become known. 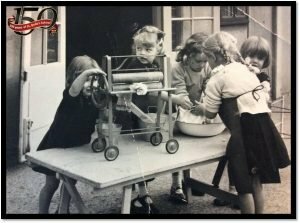 However, over the last 50 years the dri-pla has fallen into disrepair, becoming a paradox of its original use as it’s currently out of bounds in bad weather and the school now need to raise £7,000 to help towards redeveloping the gravelled sports area. To help them achieve their goals, St Bede’s have enlisted the help of Rotherham’s marathon man, Ray Matthews who has become a sporting talisman in recent years due to his continued plight to put the town on the map for all the right reasons. 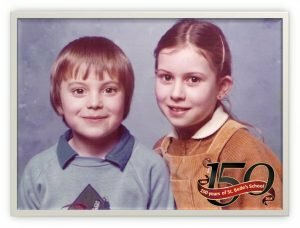 Yet little did the headteacher, Amanda Wassell, know that Ray was in fact an ex-pupil himself. 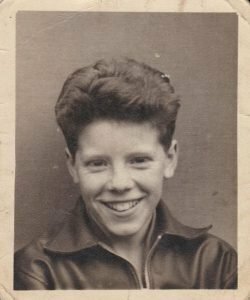 Long before his hometown glory days, a young, cheeky-faced whipper snapper called Raymond Matthews joined St Bede’s School at Masbrough in 1944. 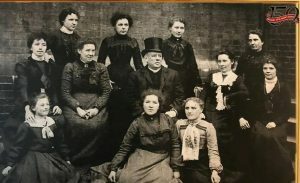 At that time, St Bede’s was the only school in Masbrough where the family lived and the obvious choice for his catholic mother, much to the opposition of Mr Matthews who wanted young Ray to go to a state school. Amanda, who took over as head in 2011, was also a former student, attending with her younger brother Gavin Sharp, who also teaches at the school, during the 70s. But for Ray, his days at St Bede’s formed the basis for his grounding in life, encouraging him to keep believing in everything he sets out to achieve – including his phenomenal feat of tackling 75 marathons in 75 days aged 75 – while also putting all his faith into helping others. While there may no longer be the big roaring fires keeping the school warm and the visits from monks that Ray remembers from his school days, he says that joining in with St Bede’s new project felt like coming home for him. “One thing I always remember but could never get my head around is how we were made to go to sleep in the afternoons on these old camp beds. Now, almost 75 years later, I’m back at the school I started at trying to get these kids exercising every day – not having a nap,” he says. 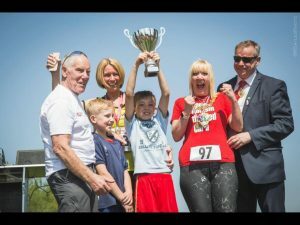 Since his marathon challenge back in 2016 which he did to raise funds for a new woodland path and disability-friendly play area at Newman School in Whiston, Ray has pioneered the Run a Mile a Day initiative in schools across Rotherham, encouraging children to run or walk a mile every day during school-time. Although the World Health Organisation recommends children undertake 60 minutes of moderate to vigorous exercise daily, research has found less than 40 percent of children actually complete this. Children these days aren’t as fit as their parents were at their age, with many unable to run without getting out of breath. 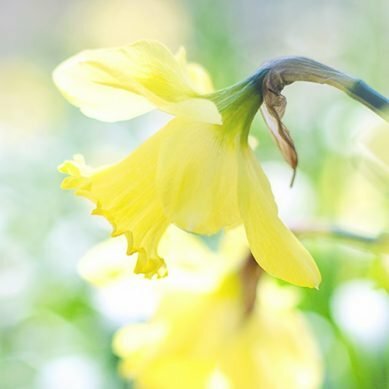 By getting outside during lesson time for short bursts of activity, Ray hopes this will help cut down on obesity levels and instil a less sedentary lifestyle in the next generation. There are currently 30 local schools taking part and a further 25 interested for the forthcoming school year, with Ray hoping that Rotherham will be the first area in the UK to have all primary schools running a mile each day. “We’ve come a long way in recent years but Rotherham is still at the top of the obesity charts. I’m hoping that if we can turn things around, it will prove to the government and OFSTED that physical education should be mandatory in the curriculum,” Ray says. 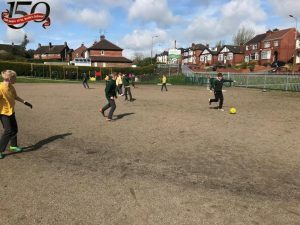 St Bede’s are just one of the schools currently involved in the scheme but the sorry state of their dri-pla means if the weather isn’t dry, the children cannot complete their daily mile. However, Mrs Wassell is hoping the new sports area, which will include a race track around the perimeter, will help pupils form healthier, happier lifestyles that will lead to better performance back in the classroom. To fund the new all-weather sports surface, the school has been awarded a £380,000 Condition Improvement Grant from the government. But before they can start work on the dri-pla, they must show willing and dedication to the cause by raising £7,000 of their own money before the grant is given. The new sports area will also have pitches for football, netball, and hockey which Mrs Wassell hopes will create more possibilities for inter-school competitions and events. Following an initial school visit in April where the kids were in awe of Ray’s stories from his 75-marathon test, he returned in May alongside his good friend Eve Rose and local television crews to kick off the dri-pla campaign with a mile lap around the school. Crusading to put more school focus on physical activity, Ray spoke to teachers, parents and pupils about the benefits of his Run a Mile a Day initiative which has recently had scientific research backing from Leeds University PhD students. A simple idea that can be easily led by teachers at any chosen time during the school day, the mile can be done in normal school uniform and shoes and at each individual child’s pace. It’s not a race, more a chance for children to work on their personal best, trying to run or walk further each day. As Ray predicted, the results seen by teachers so far have been that children are more alert and awake with increased attention and memory once back in the classroom and ready to learn. Staff have also seen an improvement in overall well-being, with children having a better sleep pattern and diet. 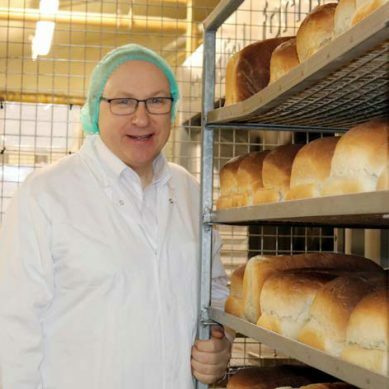 “When I was a lad at St Bede’s, some might say that the education system back then was lacking in earning. It was more about having fun and being a child. “Today, I think it is so important for our future generations to learn not only academic subjects, but also how to live well and physical activity is a massive part of that for me,” Ray says. Having inspired the entire school, Ray was delighted that 32 children of all ages from St Bede’s signed up to take part in his inaugural Fun Run in Clifton Park in May where they joined both adults and older children from affiliated running clubs. 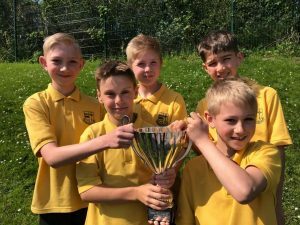 And we are proud to announce that St Bede’s were the first winners of the Schools’ Run a Mile a Day Cup which was sponsored by us here at Aroundtown. It was a close call between St Bede’s and Whiston Junior and Infants but St Bede’s had four students first past the post. Alfie Nichols was the first school pupil back and came in sixth place; he was joined by Billy Lunn, Jakub Patyk and Owen Poole who made up the winning foursome. Mrs Wassell also laced up her running shoes and got involved on the day as she took part in the first Rotherham 10K. “I only started running before Christmas but I tore a ligament in February so I hadn’t run since then. But I was so inspired by Ray to keep pushing on that I decided to sign up and do it. I was so pleased I was there for the first one, the camaraderie on the day was just fantastic,” she says. All the runners who took part are already excited about next year’s race and their amazing achievement has seen more of their fellow classmates looking to take part, too. With lots of hard work and fundraising, they’ll have a brand new track to prepare on. 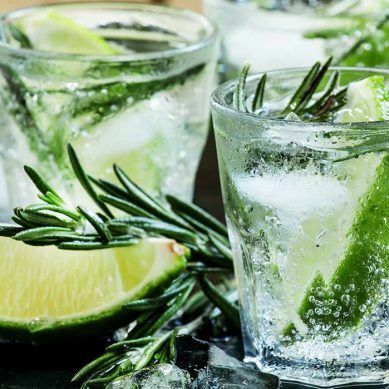 But before the new sports area is completed, St Bede’s are finishing off a year of celebrations with a special garden party on Saturday 29th September with all past and present pupils invited to join in the fun. From 12pm to 2pm, there will be a range of stalls, games and entertainment along with the chance to see the projects the students have been working on. There will also be a museum filled with archive material which will be turned into a virtual online museum after the event. 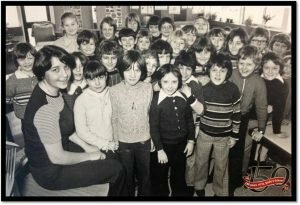 For more information about the event or the fundraising efforts, visit the dedicated page on the school website where you can find the JustGiving link and Facebook page to see more old photographs.